Planning a renovation or preparing to sell? PaveKing will listen to your ideas and help you plan a visually and financially sound solution based on more than 30 years of experience. Our specialty is repair and rejuvenation work, but if you have a new project in mind, we can work with you to plan, visualize and complete something stunning. With us you will have knowledgeable professional guidance from initially chatting about your ideas (vague or detailed), through to making final design decisions. 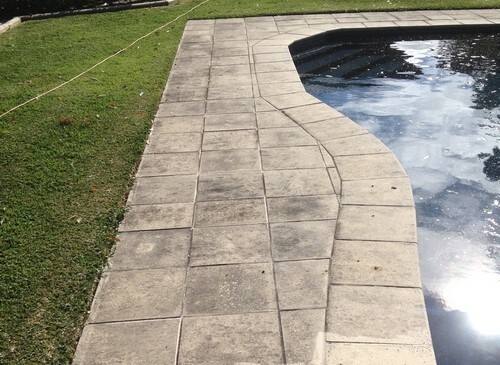 Fix loose and broken pavers, re-grout, remove rust and mould stains and reseal for mould, dirt and grime resistant, See before and after shots. Rejuvenate or replace timber structures � We can help you decide. Maybe your gazebo, pergola or deck can be sanded, restored and protected. Or maybe you really do need something new. Call us for a quote. Concreting � All steps, paths and driveways designed and constructed to industry safety standards. We physically mark out our design for you to trial. New paving and tiling � We advise on the correct products for different applications. You still have room for choice but with a kidney shaped pool, for example, you need to use smaller pavers to allow for bends. And after 30 years we have experience with just about every type of tile, brick and stone available. 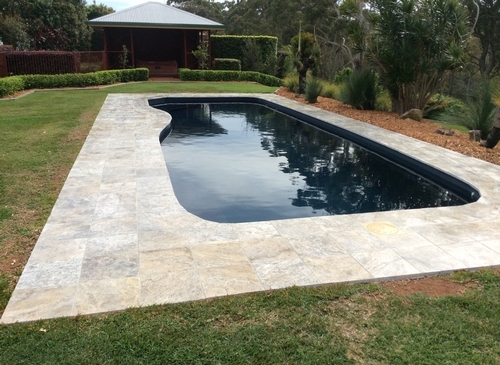 Garden edging � continuous concrete, rendered block, timber, stainless steel or pavers. Water features � off the shelf or custom made. Drainage � often essential to protect your investment.